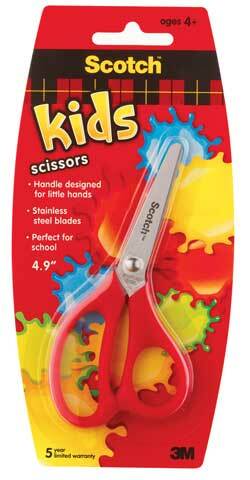 Designed for little hands, these scissors feature 5" stainless steel blades with blunt tips for safety. Great for art, crafts and school projects, they include a five year limited warranty to assure performance and satisfaction for years to come. Recommended for kids 4 and up.